Today I have a lovely little giveaway for you, tomorrow sees the release of a gorgeous new DVD collection of classic Beatrix Potter tales and I have a copy of the DVD to giveaway to one of my lucky readers. The Beatrix Potter Collection is a beautifully presented 3 DVD box set which features the well-loved characters that have entertained generations of young readers the world over. The box set includes 9 animated stories based on the Peter Rabbit books and would make the perfect gift for any child. If you would like to be in with a chance of winning this DVD box set then all you have to do is fill in the Rafflecopter form below, the giveaway is open to UK residents only. 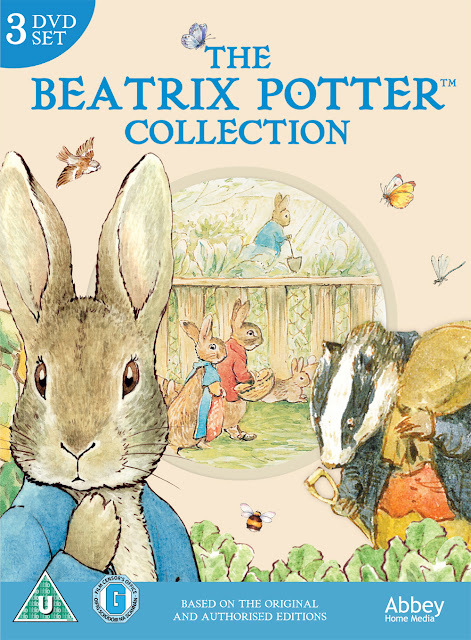 The Beatrix Potter Collection DVD is available to buy from 7th March. Beatrix Potter has lovely memories for me, now my little grandson loves Rabbits so this would be perfect for him.